GE Marine and GE Oil & Gas announced that the marine module package design for its LM6000PG aeroderivative gas turbine has been certified by Lloyd’s Register and RINA Services (RINA). The test where the LM6000PG module effortlessly achieved 42 megawatts (MW) was conducted at the GE Oil & Gas facility in Massa, Italy. GE expects the actual Lloyd’s Register and RINA certification documents to be in hand by spring 2016. 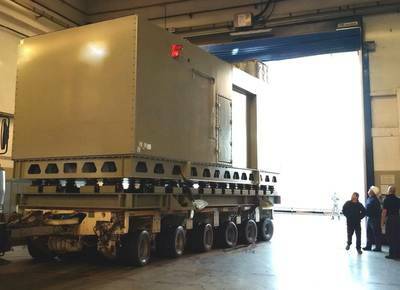 “Testing confirmed the quality, compact size, small footprint, low noise and vibration characteristics and the overall performance of the LM6000PG module package,” said Brien Bolsinger, Vice President, Marine Operations, GE Marine. “The new PG package is based on highly successful GE Oil & Gas designs that have been used in offshore applications for more than 22 years. Yet the engine inside the package is not new – it’s the same as the more than 1,200 LM6000 gas turbines used in industrial mechanical and electric service applications that have reliably logged 33.5 million hours,” Bolsinger added. GE Marine and GE Oil & Gas noted that several customers attended the week-long customer witness testing and were impressed with the LM6000PG marine driver as it went through its test plan to meet marine propulsion needs. Onlookers commented on the compactness of the gas turbine package and were intrigued by the way the installation and removal of the gas turbine is performed through the combustion air Inlet duct. GE said the LM6000PG package is suited for countless additional marine applications including military combatants and offshore projects where space is at a premium. It is particularly suitable especially for FPSOs below deck applications to free up valuable space on the upper deck. The LM6000 simple-cycle gas turbine in its size class delivers over 40 percent thermal efficiency. The GE LM6000PC marine produces 42 MW/59,900 shaft horsepower (shp) and the more powerful PG model has an output of 52 MW/70,275 shp. The LM6000 was introduced in 1991, and the first oil and gas application was in 1994 for the Hamilton Oil/Liverpool Bay project. In 2012, the LM6000 product was awarded GE’s prestigious Ecomagination status. Ecomagination is a growth strategy to enhance resource productivity and reduce environmental impact at a global scale through commercial solutions for customers and through GE’s own operations. In 2015, the LM6000PC and PG models received Lloyd’s Register’s Design Appraisal Document to the Marine Naval Vessel Rules. Both LM6000 models produce low emissions, can operate on a variety of fuels and offer customers reduced maintenance costs, increased availability and superior reliability.